Here on Barstow’s Longview Farm, we raise a lot of cows for dairy. But we also raise about 20 steers each year to provide our Barstow’s Farm Raised Beef! The beef – ground, patties, steaks, and roasts, is exclusively sold at Barstow’s Dairy Store and Bakery and can be found in our freezer section. You can also enjoy our beef at lunch if you try our Barstow’s Famous Chili, The Messy Beefer sandwich, or our Taco Salad. And then, on occasion, we throw a party! Once a month in the spring, summer, and fall, we host a Burger Night. 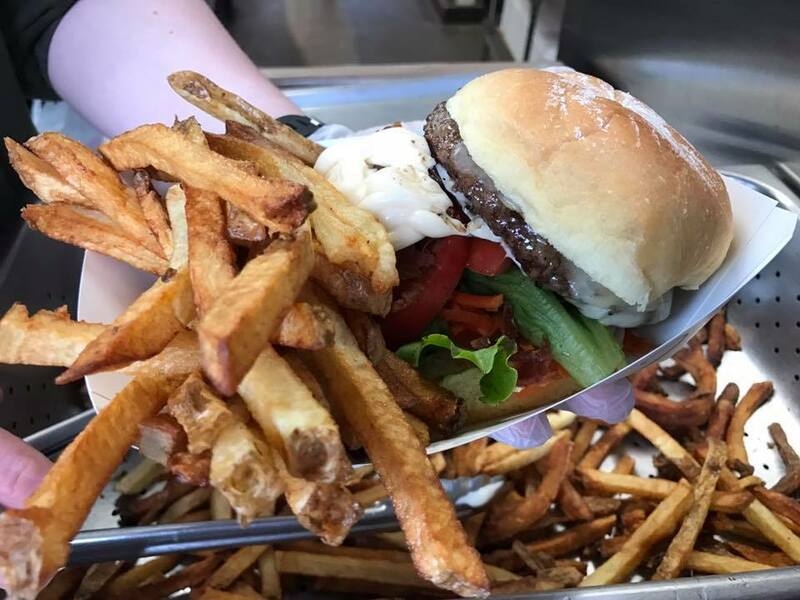 For this one night only, we grill up our burgers to order, complete with local, in season flavors, farm tours, sunsets, and the adult beverage of your choosing. And in the summertime, you can look forward to Burger Fest, our biggest, loudest, and most fun day of the year on the farm! 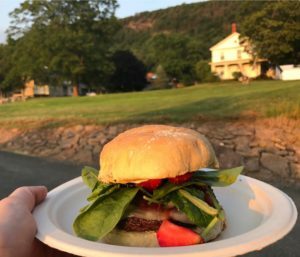 For these special Burger Events, we have a set menu of favorites and one or two seasonal burger offerings that celebrate what is in season in Western Massachusetts. Each event, we offer seasonal burgers. You can see some of the seasonal burgers we’ve offered in the past here. You can visit our beef page to see our beef cuts, price per pound, and how our animals are raised.